This coming week, Panalpina will assist UNICEF (the United Nations International Children’s Fund) for the sixth time by flying relief aid to Africa. The Panalpina Charter Network is in final preparations for the flight in support of the respected UN organization. Same as last year, the flight – chartered and donated by Panalpina – will go to Uganda, from where the relief goods will be trucked across the border to South Sudan. Some of the relief goods will then likely be flown by giant UN helicopters to remote regions in the country to help mostly children, women and families in a country affected by one of the world’s worst humanitarian crises. The following report was written by journalist Peter Martell earlier this year and shows how getting aid to the people who need it most requires extreme efforts. The report also impressively illustrates how every ton of relief goods makes a very big difference to thousands of people who often have not had aid for years. 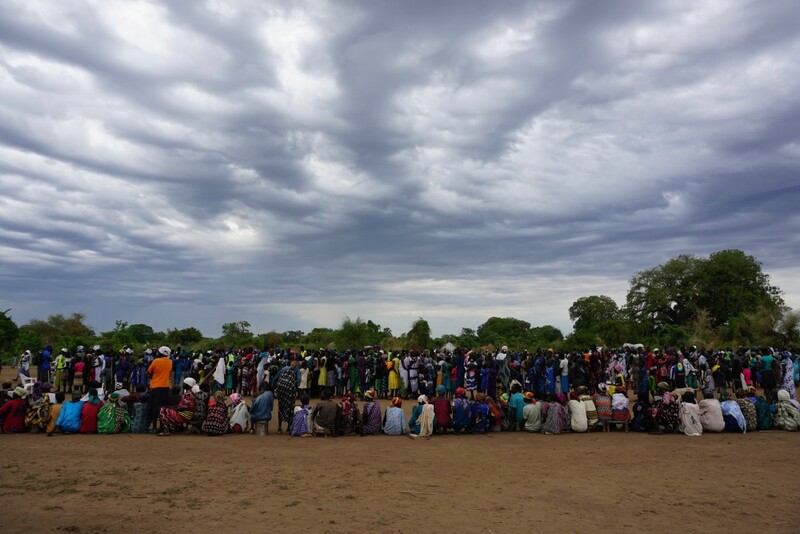 UDIER, South Sudan – For a moment, the sky goes dark. Stinging clouds of dust are whipped up as the giant UN helicopter takes off. 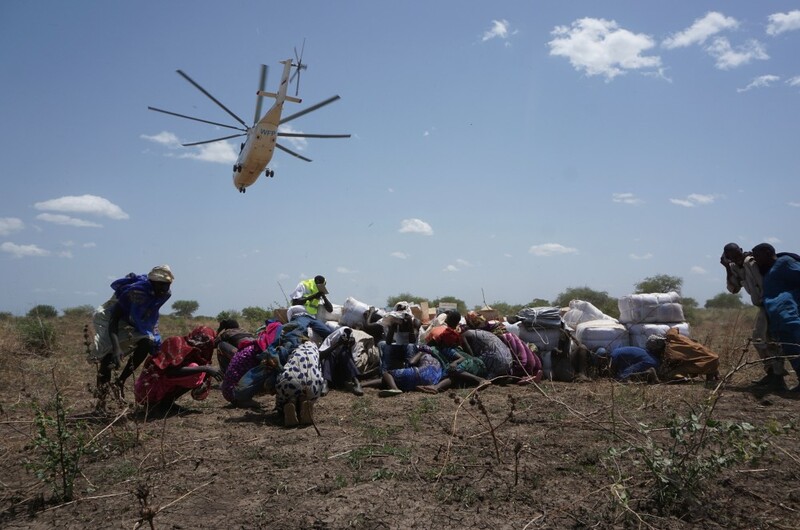 On the ground, aid workers and residents of the remote South Sudanese town of Udier use the cargo the helicopter has dropped as a temporary shelter from the storm. The Russian-made Mi-26 helicopter is the world’s largest, originally designed to carry heavy military kit. Here it is delivering four tons of aid. 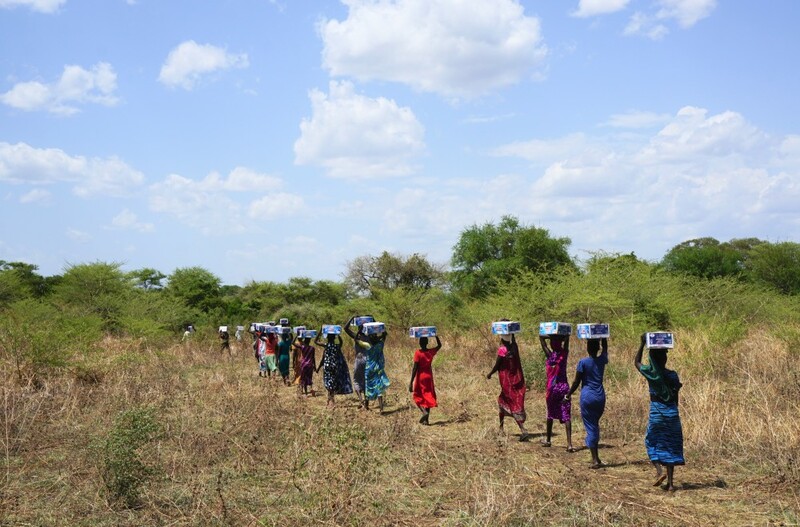 “Hold on!” shouts nurse Gatluak Lual, as people cling to the boxes, including special high protein food for malnourished children, packs of pregnancy delivery kits to help mothers give birth safely, spare parts to fix water pumps and bales of mosquito nets. South Sudan is one of the world’s worst humanitarian crises. Civil war erupted in 2013, ripping the young nation apart. Millions of people have been forced from their homes, and millions more are in need. Children are especially suffering. Many areas have been effectively cut off from the outside world almost entirely. Getting aid out to the people who need it most also requires extreme efforts. So the UN Children’s Fund, UNICEF, alongside partners from the World Food Programme, WFP, have developed what they call the Integrated Rapid Response Mechanism, or IRRM. It is a complicated technical term for a mission with a simple focus; an airborne aid operation to drop in teams and tonnes of supplies into some of the most inaccessible and dangerous areas anywhere in the world. Since the war began, hundreds of helicopter missions have provided aid for millions of the most vulnerable people. 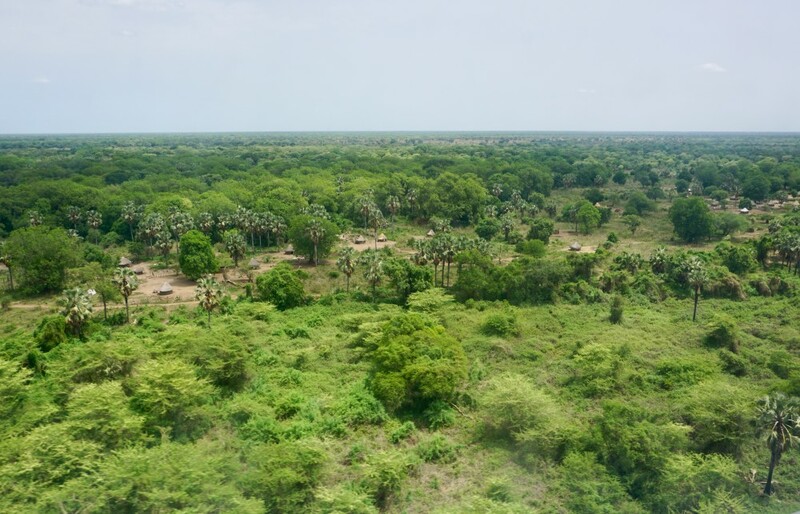 In the baking heat, the South Sudanese specialist in nutrition is organising a long line of volunteers, tackling the heavy work of hauling the cargo through thick scrubland from the helicopter drop zone. 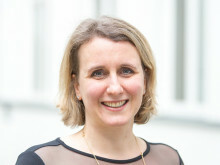 “Logistics are a big challenge,” she said, as men carry chests of measles, tetanus and polio vaccines in giant cool boxes out of the burning sun. With no power to refrigerate the several thousand precious vaccines, they must be given out as soon as possible. The five-person UNICEF team includes nutritionists, a child protection officer and a community health expert. The first helicopter drops the team and their kit, including tents, food and even drinking water. 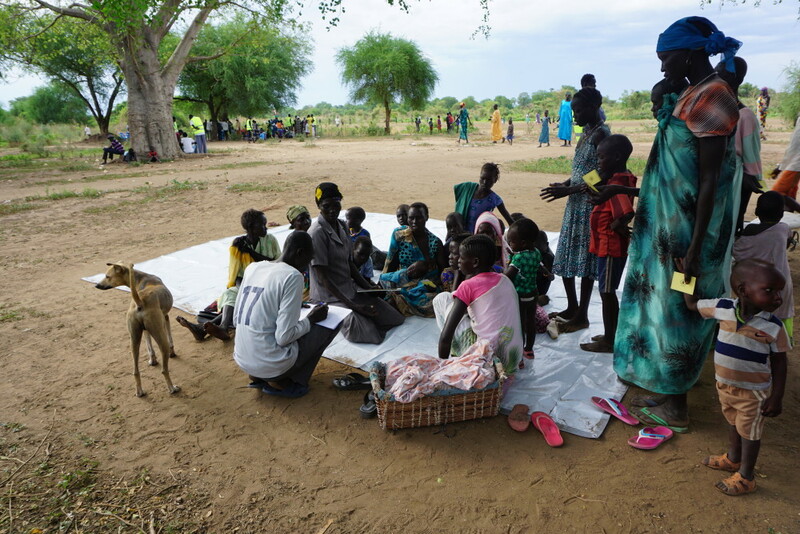 They set up a base ready to support tens of thousands of people, training local volunteers to not only help manage vast crowds but also to assess for malnutrition and give injections of vaccines. 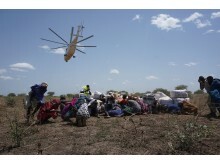 They all must be ready to act as soon as aid is delivered days later via cargo helicopter. After that, the team is on its own – until a recovery flight is sent to pull them out after around 10 days. 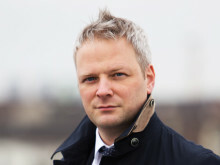 Udier, in the far northeast of the country, is outside government control. That means the isolated town is physically cut off by battle lines from trade with the rest of the country. The UNICEF operating base is in the playground of the town’s school. The building itself is roofless after damage in storms, with walls covered in graffiti showing charcoal drawings of soldiers and war. 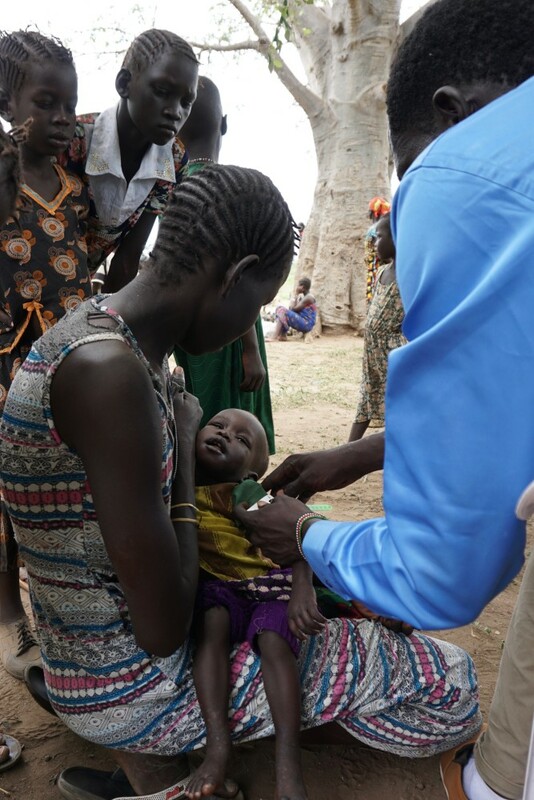 Each mission is a microcosm of the crisis that South Sudan as a whole faces; staggering health needs, uncertain security, a lack of even the most basic infrastructure, and hunger at such extreme levels experts have warned of the potential to return to famine conditions declared in 2017. 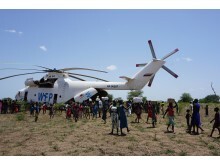 The missions are carried out in collaboration with WFP. Sometimes as many as 30,000 people will come from deep in the bush in the hope of supplies, which WFP delivers by literally pushing supplies out the back of airplanes. Tonnes of grain sacks thunder down, while crates of more breakable cooking oil are dropped with parachutes attached. 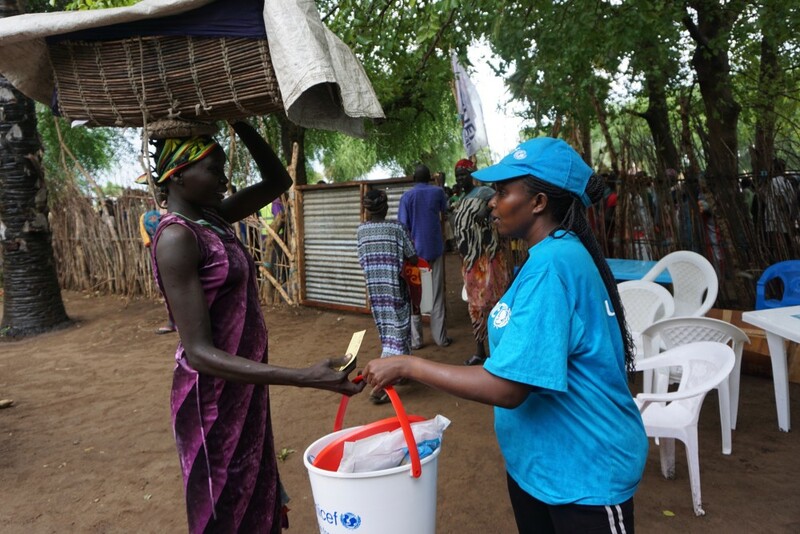 Last year, UNICEF deployed teams on over 50 joint missions to locations across South Sudan. While the UN uses such operations in other conflict zones across the world, the South Sudan missions are unique in being the only ones totally reliant on helicopters. The queues begin soon after dawn. The long lines last for hours, snaking out across the dirt airstrip, the only large open area for people to gather. This mission, targeting around 9,000 people, is only a medium-sized. At the head of the queues, UNICEF experts with support from local health workers and volunteers work without break to assess the needs and provide what aid they can. Some children have extended bellies and swollen ankles, while others have light brown hair, all warning indicators of possible malnutrition. Children are given doses of de-worming pills, vitamin supplements and, if they are judged to be severely malnourished, packets of special formula food to bring them back up to a healthy weight. 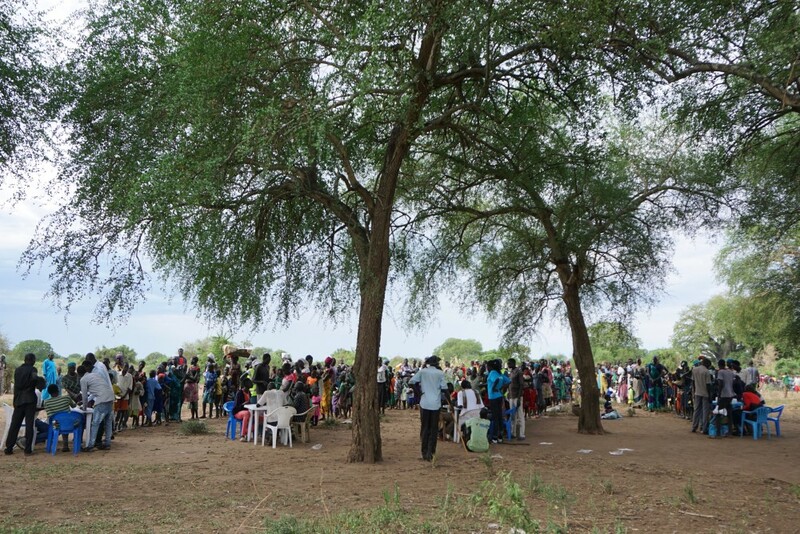 Elsewhere, lines of mothers and children wait for vaccines, or health checks from medics. At another table, in the shade of a baobab tree, social workers take photographs of children who lost their parents in the chaos of war, and note down as many details as they can remember to help try and identify them. Some parents may have fled the country, or have died in the fighting. As the mission wraps up, basic supplies are handed out to mothers; clean water kits, including buckets and containers, purification tablets, soap, as well as mosquito nets to help curb malaria. When the helicopter arrives to take the team out, a crowd from the community comes to say farewell. The helicopter whips up dust once again. As the helicopter shudders into the air, the last thing that can be seen through the storm are the lines of mothers, still standing and waving.